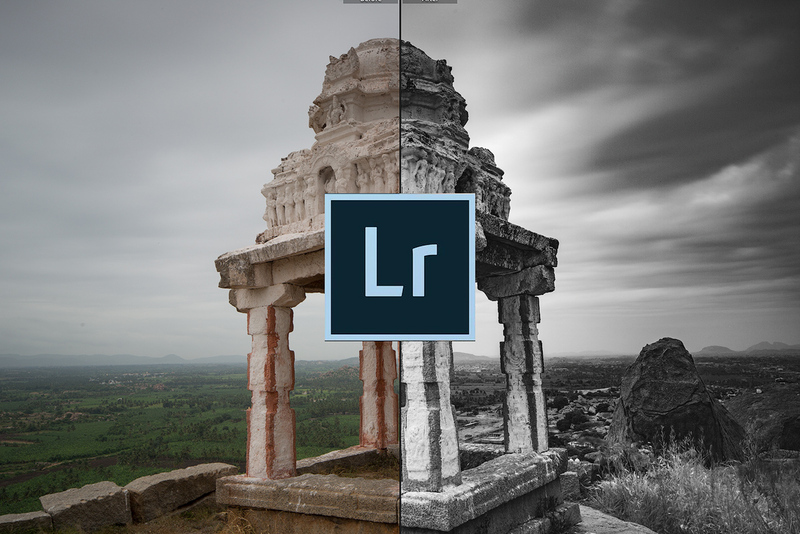 I conducted a one-day workshop on Lightroom/Post-Processing in Bangalore on May 5th. As I was looking at the course material, I realized that it was my sixth year of mentoring photographers in Lightroom. Our initial few workshops included both Lightroom and Photoshop, and spanned across two days. We converted it to a one day Lightroom-only workshop because Photoshop is not something that you can cover in a weekend. In these years, Adobe has made quite a few significant changes to the software to simplify it, but the core concepts still remain the same. With Lightroom CC, the app that we once knew has actually become a ‘classic.’ Lightroom Classic CC is what Adobe calls the software that desktop version. Lightroom CC is now for the ‘mobile’ crowd and uses the cloud to store images. In this class, we had 9 participants, two of whom were French. We also had many participants who had either traveled with Darter on our tours before, or had attended our other workshops. This is certainly encouraging for us – people come back only when they are happy. The venue for our workshop was the Honeycomb – Video Production Bangalore, Web Design office in Koramangala. It was great to work in a space dedicated for photographers. In case you weren’t aware, Honeycomb makes archival photo prints on imported media. We had at least 50 prints hanging on the walls of our classroom. Honeycomb also offers services like image retouching and website development. Do check out their website. Lightroom can be both easy and daunting. A common question that I get asked always is – when do I stop editing? How much of Lightroom should I use to edit an image. This question is challenging one for me, because like the question itself, there is no definite answer. The best thing would be to use a number of examples to show what can be achieved. As a mentor, I always strive to get the participants to understand the tricky topics like tonal correction first. To do this, I use some of my own photos as examples. 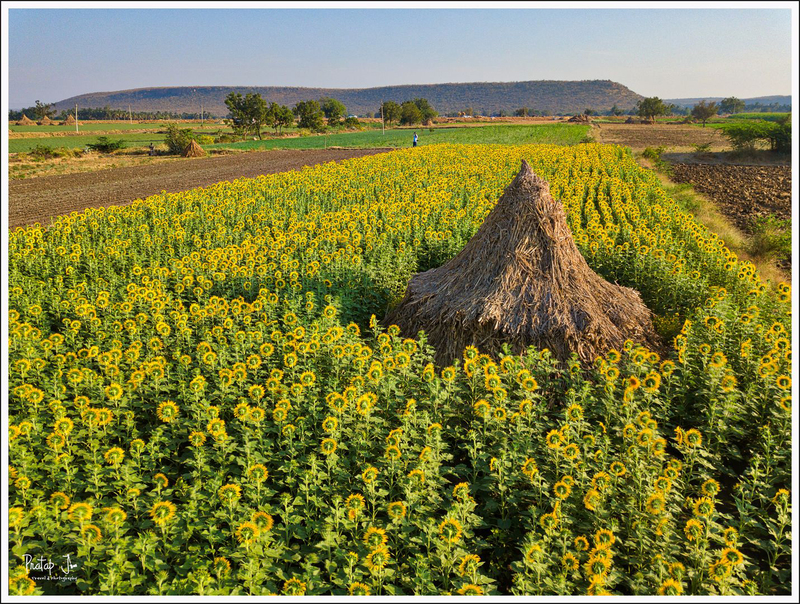 As someone who loves landscape photography, I use more of such images for demonstration. However, I also recognize the need to have a variety of sample RAW files. One collective feedback that I received in this workshop was to split the session into two days. What do you think? Should a Lightroom workshop be for one day or two days? Comment below and let me know. If you are interested in a future Lightroom workshop, visit http://www.darter.in/ and stay connected through our Facebook page. In February 2018, I led a workshop on astro photography for Darter. Read on to understand how we planned and executed this. Update: See the highlights of the workshop here. Sometime towards the end of 2016, my interest in astro photography peaked after a vist to The Goat Village in Uttaranchal. Sightings of the beautiful and clear night sky from the cold environs of the Himalayas incited me to shoot the great skies above. With my interest growing, I did not miss any opportunity to shoot more astro photos in the following year, even traveling to the Great Rann of Kutch specially for this purpose. I penned my learning on how to shoot night scapes – stars, star-trails, moon and night timelapses in this article. In February 2018, I led a workshop on astro photography for Darter. Read on to understand how we planned and executed this. 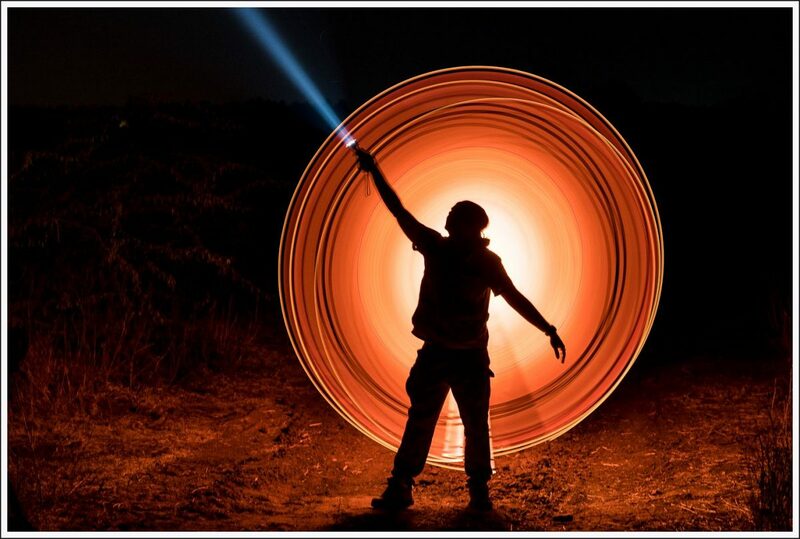 A small clarification before I proceed – astro photography here refers to photography of celestial objects that you can see at night with your naked eye. I am aware that there are purists who believe that looking/photographing through a telescope solely qualifies as astro photography. No offense to anyone, but I would like to move on from that debate. It goes without saying that astro photography requires very clear skies. Have you ever looked up at night from any of the big metro cities in India? From my house in Bangalore, I can barely look past a layer of smog. No wonder we are 24th in this list of South Asia’s pollution index. Absence of clouds is also important. So it was imperative that to conduct a workshop on shooting stars and star-trails, we had to find a location outside the city. My friend and founder of Darter, Arun, suggested Badami as a location for the workshop. 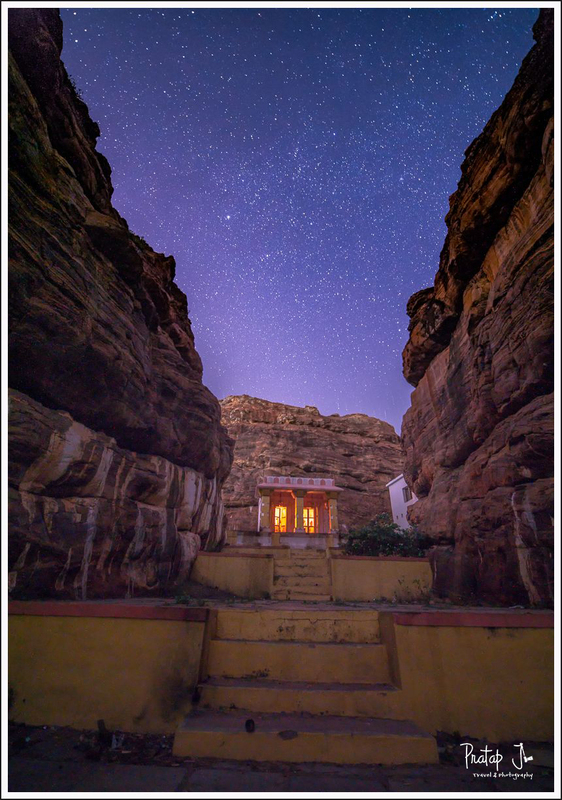 Situated 50o odd kilometers from Bangalore, personally, Badami was not my first choice for the workshop. But on a recce trip in January 2018, we made interesting discoveries. Badami is mainly well known for the remains of the ancient Chalukyan dynasty. It would be an opportunity of a lifetime to photograph the night sky against some of the ancient structures built by our ancestors. But experience has taught me that the probability of the sun rising from the West is more than ASI considering an interesting proposal. Having visited Hampi several times, I was quite aware of how the ASI of India functions. 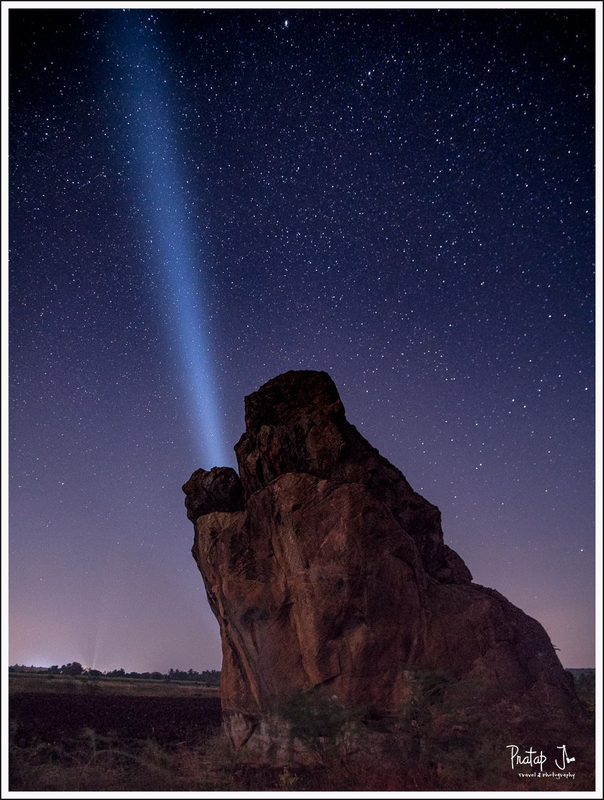 You cannot even use tripods at any of the sites maintained by ASI, so getting permission to shoot after dark is out of question. The presence of wild animals is another deterrent at Hampi. Leopards and bears roam around freely after dark. I prefer not to disturb them, for they have already lost a lot of their territory to us humans. In spite of the restrictions from the ASI, during my most recent visit to Hampi, I did indeed shoot star-trails. Nevertheless, Badami was a much simpler choice. Open areas with as little light pollution as possible. We identified at least 4 such spots. Elements of interest, unique to Badami. 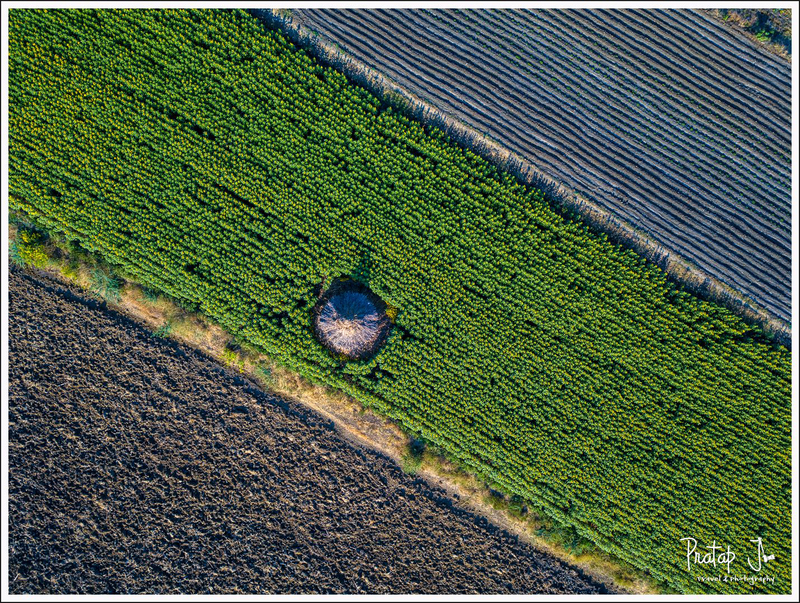 We found at least 1 such spot with an ancient temple and several spots which offered interesting natural foreground. Comfortable lodging so we could relax during the day. Badami Heritage Resort certainly offered this. Accessibility. Mountain villages and camping sites in the the upper Himalayas are certainly great to make images of the night sky, but it is not easy to get to these places. I still remember how grand the glaciers of Har-Ki-Dun looked under a full moon, but we had to trek three days to get there. Our workshop had to happen somewhere closer to home. Safety from miscreants and wild animals. 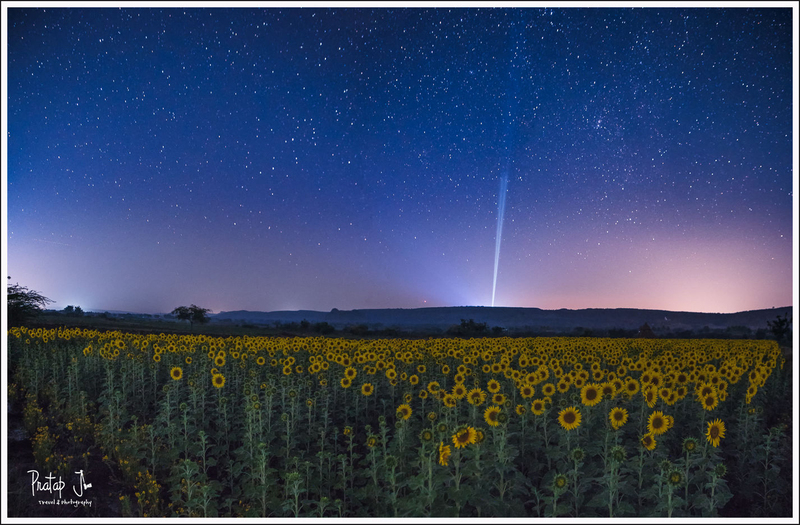 At first, I was quite apprehensive about shooting in the fields at night. I did not want to be caught tresspassing. On the reccee we had several encounters with locals in the dead of the night and not once did they cause any altercation. With Arun’s expertise of the place and a lof of scouting around, we where happy with Badami because it ticked all the right boxes for the workshop. On the 16th of February, a team of 10 participants of all age groups left Bangalore early on a Friday and reached Badami by evening. 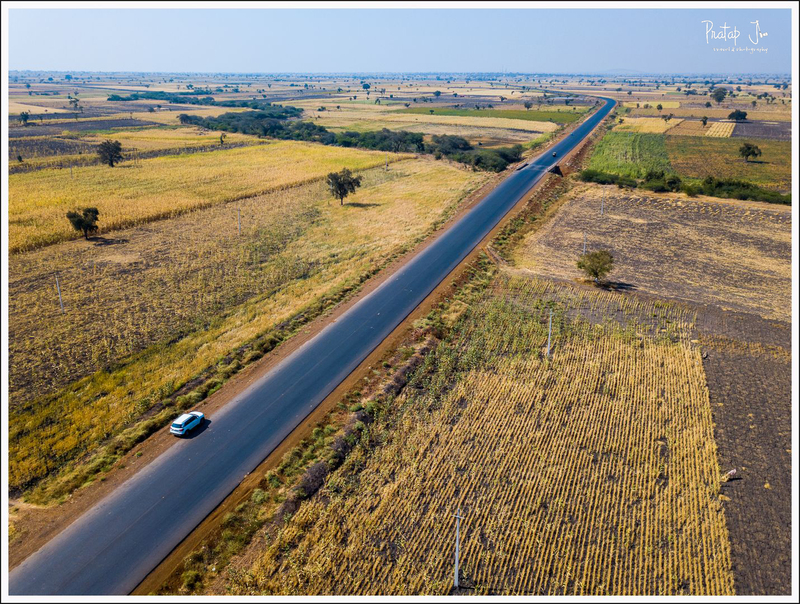 We traveled by road, enjoying the change in scenery as we crossed Chitradurga and entered the northern region of Karnataka. The workshop started with a presentation on how to photograph the night sky. The session covered gear, techniques and planning aspects. We then headed out to make some images. The participants were an enthusiastic lot, so all challenges that comes with shooting at night were easily taken care of. In case you weren’t aware, focusing a lens itself is impossible in the dark. In spite of having traveled by road during the day, we shot well into the night and retired to bed only after 2 am. On the first field outing, we got to shoot star trails at a dam and a bullock cart against the night sky. The next day we had a session on post processing techniques. We learnt how to process astro photos and create star-trails. After visiting the famous Badami caves, we headed out again to make more images. The sky was clearer on the second night and the experience of staying under a vast canopy of stars was certainly memorable. 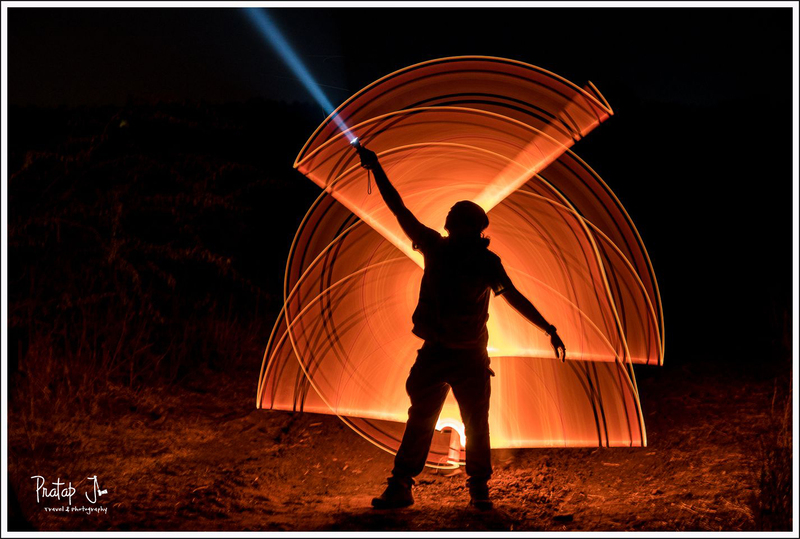 We even tried our hand at light painting – a genre that one of the participants was really good at.